We love Knott's Berry Farm! This family friendly amusement park becomes Knott's Merry Farm for the holiday season, which sadly (or not-so-sadly for some parents) is winding down. Knott's is a wonderful and affordable way for our family of five to be entertained locally. We're so fond of Knott's, that we've recently decided to get season passes this year. That's a big commitment considering our tight budget. But from my experience, Knott's provides tremendous value for the nominal amount we spend for the day of fun. Tomorrow is New Year's Eve day and we're looking for a little staycation family fun in Southern California. 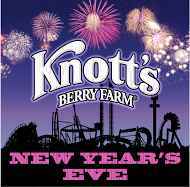 We're bringing in the new year at Knott's! Au revoir 2013 - bonjour 2014! It’s Christmas, Snoopy encore performances. Snoopy and his pals skate their way through the joys of the holiday season. admission and is open for the extended hours of 10 a.m. to 1 a.m. If you're interested in a 2014 Knott’s Season Pass, now is the time! A 2014 pass offers a year of family fun and includes one free visit in 2013 - there is now one day left in the year. Also, for a limited time, you can purchase a Season Pass for as low as six payments of $13! All ticket and park information about Knott’s Berry Farm can be found at www.knotts.com or by downloading the Knott’s mobile app for your smartphone. 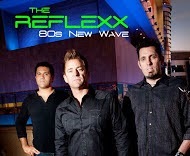 I hope to see you there tomorrow! Happy New Year to you and yours! *Disclaimer: Big thanks to GigaSavvy for providing us with tickets for Knott's New Years Eve celebration in exchange for a written post. We're several months into our oldest chickadee's third grade year and a little over a week to go until Christmas break. It can't come soon enough! What a school year from hell it's been so far. My daughter has been struggling to keep up with her homework, math concepts, reading comprehension... We just had the parent teacher conference with the teacher a few weeks ago and she told us that she was falling behind, is immature for her age, struggles to focus to keep up, we should get her tested, etc. She claims that her second grade teacher didn't do a good enough job moving her forward. It made me feel sad and frustrated for my daughter, guilty that I'm not able to do more as a mom and kind of mad at the system. I'd already been staying up until 9:30 and 10:00 p.m. some nights to work with her on all the worksheets and assignments. I've been trying to teach the challenging concepts in fun, different ways. It's so demoralizing. Although I work full time, I try to do everything in my power (and beyond) to be involved in my kids' education. I get to work late and leave work early to maximize my time with them at home. I send money and supplies and baked goods every time they're requested. I volunteer. I joined the PTA. I'm so burnt out. I don't like feeling like my daughter isn't succeeding in school. I also don't like feeling like the public school system is killing her creativity and interest in learning. I'm confused about whether or not she has ADD and how I should best help her if she does. I wonder what changes I should make additionally in our lives; like homeschooling, private school, unschooling. I guess I'll just take it a day at a time. During Christmas break we'll take some quality family time to catch our breath (and review all the math concepts) and try to focus on the blessings in our lives. I pray the rest of the school year goes smoother.